AUTOCHECK CERTIFIED 1-OWNER! 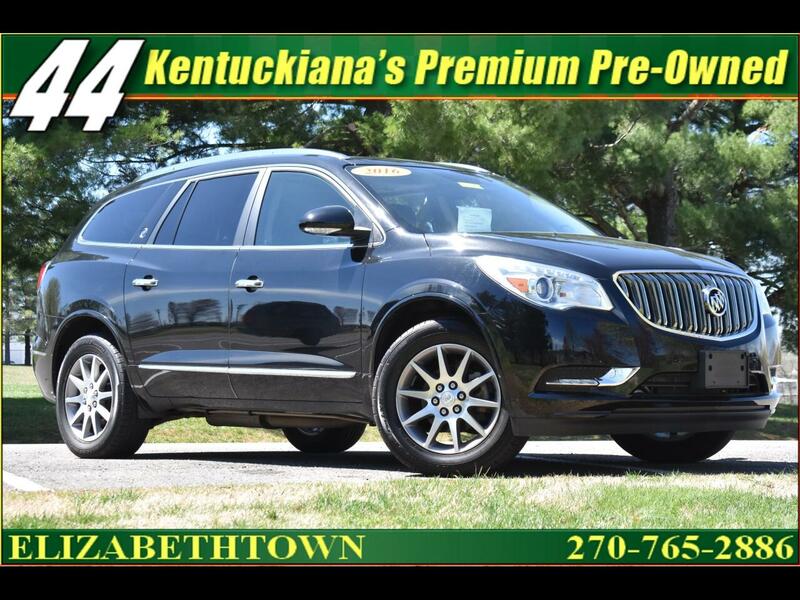 TOP OF THE LINE BUICK ENCLAVE AWD LOADED WITH PANORAMIC MOONROOF, NAVIGATION WITH BACKUP CAMERA, HEATED LEATHER WITH QUAD BUCKET SEATS AND 3RD ROW, DVD ENTERTAINMENT, AND LOTS LOTS MORE. INCLUDED ARE ALL OF THE ORIGINAL BOOKS AND MANUALS. WHY BUY NEW? THIS 1-OWNER, LOW MILEAGE ENCLAVE LOOKS, RUNS AND DRIVES LIKE NEW FOR ABOUT 1/2 THE PRICE OF A NEW ONE! !